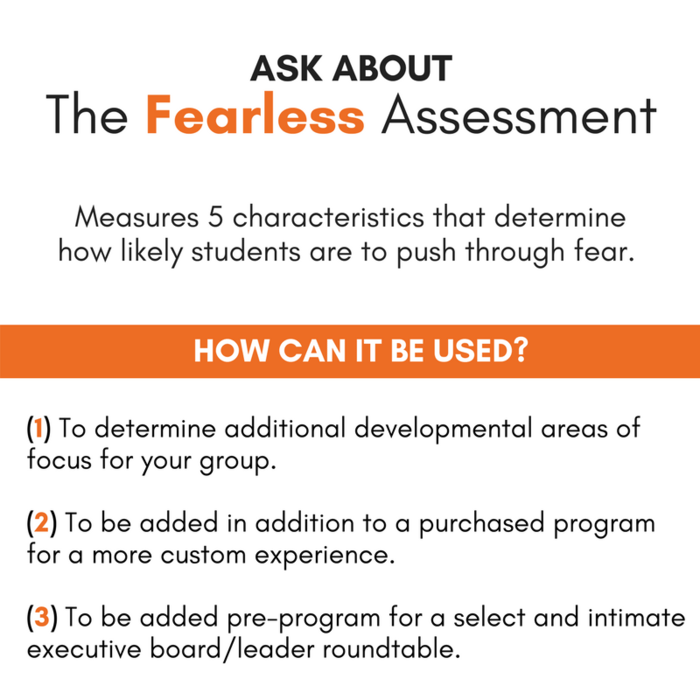 How would your life, organization, and campus be better if you were more fearless? Darryl Bellamy Jr. guides students with the knowledge and techniques they need to identify and overcome some of their biggest fears. 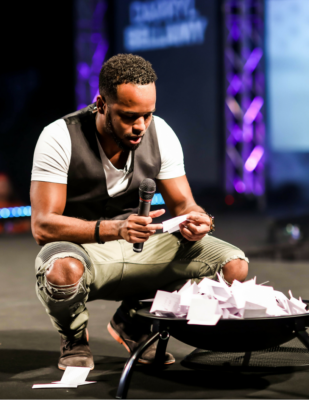 Darryl has collected, read, and shared thousands of students fears on campuses all over the country. He prides himself in reading every fear, which keeps him connected with what students are feeling and at times, hiding. 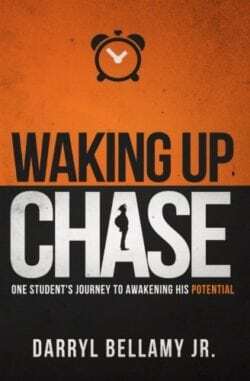 His energy is infectious, along with proving actionable strategies to move your student’s from Fearful to Fearless. Thousands of student’s wear “The Fearless Bracelet,” given to every student inspiring them to push through fear long after Darryl leaves the campus. Purchase or download your free copy of Darryl’s book on Amazon. Darryl Bellamy graduated from the University of North Carolina at Charlotte in 2012, and three years later became a Corporate America dropout after quitting his job to travel the country inspiring students to conquer their fears and self-doubt. While in undergrad Darryl was heavily involved on campus as an RA, Orientation Counselor, SGA Chair, leadership workshop facilitator, as well as a proud brother of Kappa Alpha Psi Fraternity, Inc. Darryl, known for his infectious energy, was an overly involved student leader who overcame his own fears to receive multiple awards, participate in two corporate internships and run for student body office. After collecting, (still) reading, and cataloging over 14,000+ written student fears as of today, Darryl is now considered an expert on the topic of student fear. The first time he asked students to write their fears; He was taken aback by their rawness and transparency, inspiring him to find his true calling by solely focusing on ensuring they can overcome their fears to achieve and lead fearlessly. Leading is hard, doing it without fear is even harder! After reading thousands of students’ secret fears, Darryl noticed a pattern. He realized there are four questions we ask ourselves that determine how fearlessly we lead; Am I enough? What if I fail? What will they think? Do I have the resources? Based on how students answer those four, will determine how fearlessly they live and lead. In this keynote, students can identify their fears to stepping up, see the similarities with their peers LIVE while learning actionable strategies to conquer fear. Students leave more connected with their fellow student leaders and more empowered to take risks to leave a positive legacy on their campus. New people, new place; possible first run at real freedom? The first year can be scary. What students don’t realize is that many of their peers are feeling the same way. First-Year Fearless allows students to identify their hidden fears about their upcoming year while hearing the concerns of their peers LIVE. Darryl shares commonalties and stories he has found from his research collecting fears around the country. Students will feel more connected to each other realizing they’re not alone. First-Year Fearless provides actionable strategies in an engaging keynote, so students create a solid foundation for their future undergraduate success. actionable, fearless strategies they can use immediately to start creating a fearless foundation. As a Greek leader during undergrad, and after collecting the fears of Greek students nationally, Darryl understands the concerns and fears of those in your community. Some concerns include What If I step up and fail? Will I be accepted if I speak out? Am I good enough? The Fearless Greek acknowledges that we do great things on our campuses, but challenges communities to do more to create a FEARLESS Community Culture. The keynote allows students to write their fears, realize they are not alone, and provides actionable strategies to build that culture. Fraternity and Sorority Life members will leave feeling energized and inspired to create a lasting legacy, challenge the status-quo, and lead fearlessly! actionable strategies they can use immediately to start developing a fearless culture. In all situations, we have two choices, Love vs. Fear. Because of our upbringing, our deeply held beliefs, and other factors, we sometimes choose fear. We fear those conversations and things that are hard because we might say something wrong or fear those that may look different because we don’t fully understand. Love vs. Fear allows students to take a more in-depth look at why they choose one or the other while providing solutions and dialogue on recognizing when they choose fear. Students will also examine profiles of leaders who decide love despite fear, and how to choose love and understanding more often. strategies on how to choose love and ways to practice love with peers, colleagues, and their campus community.